She's a little ballerina Christmas tree decoration we brought back from our trip to the ballet in St. Petersburg this summer. We had um-med and ah-hed over that trip. It cost more than we wanted to spend, it lasted long into the night when we had to get up early the next morning, there was a dress code to decipher: the girls were keen and the boys, in the end, had to admit that it was a once in a lifetime opportunity. So we signed up for an excursion to see Swan Lake, on a warm Summer's evening, at an old theatre, in Russia. It was a tourist version, the online reviews said, fast ballet on a not-so-fancy stage. But as the coach spred us through the streets I had spent years dreaming of seeing, the tour guide reassured us: We do happy endings in St.Petersburg, she said. The story would end well. And it did. It was magical. Our story of that night will probably keep for another time. Today I'm Picking my Precious; and she is our ballet dancer, dressed in the deep blue of the night's costumes, and ready for our Christmas tree for the first time this December. Happy Endings? I'm hoping her story has just begun. If you have a story, we'd love to hear it! I'm hoping for a Happy Ending of another kind round here as Storytelling Sunday finishes up its three year (three years!) run at the end of December. Let's send it off in grand style, with your pick of your Precious this month and then we'll have a grand Christmas finale next. That's two chances left to spin your story, tell us your tale...what are you waiting for? Write your post, introduce it as a Storytelling Sunday story and then come back and link us up. You won't regret it! Everyone meets someone new on Storytelling day. You have a full week to add your story, and the rest of the month to come back and read your choice of the others. No big rush! Have a think, take your time. And then? Sit back and enjoy the rest. Hi Sian :) She is a fabulous momento and will help elicit stories from your family of summer 2013 for years to come! Isn't she beautiful? So elegant and vibrant ...and I can see she holds the memories of other stories too. 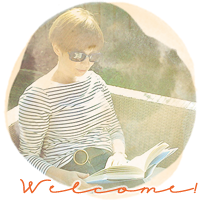 Glad the much-weighed decision was the right one for you all, and a lovely post. What a lovely momento of a happy holiday. I can tell she is going to be gracing the family Christmas tree for many years to come. She is beautiful and so elegant. We try to buy one or two new decorations each Christmas and will be on the look out for a ballerina now. Many of our Christmas tree ornaments have been purchased on trips, and each time we hang them so many memories return. I haven't been to the ballet in years, but I do love it. It must have been magical to see it in St. Petersburg. What a wonderful experience and one the girls in this house would have been very keen to share. The boys? Not so much! A beautiful ornament. We always try to buy one when we are abroad for our tree as a special memory. I hope she has as many Christmases on your tree as ours has had. She's quite lovely. She's a beautiful memento of your trip! We collect Christmas ornaments on our travels & special outings, so each year is a trip own memory lane when we decorate (& undecorate) the tree - maybe I'll share about one of our ornaments next month! What a beautiful lady she is - glad to hear there was a happy ending, I do like them. Experiences and once in a lifetime things are always precious. gorgeous and it must have been a magical event. A really precious memory....and such a gorgeous ballerina. Souvenirs from special moments on trips are the best!! What a wonderful reminder of your excursion to the ballet. Each year when you put up your Christmas tree, you will be transported back to that time. We started collecting ornaments while on our trips years ago. It is so much fun at Christmas to unwrap each one and remember when. 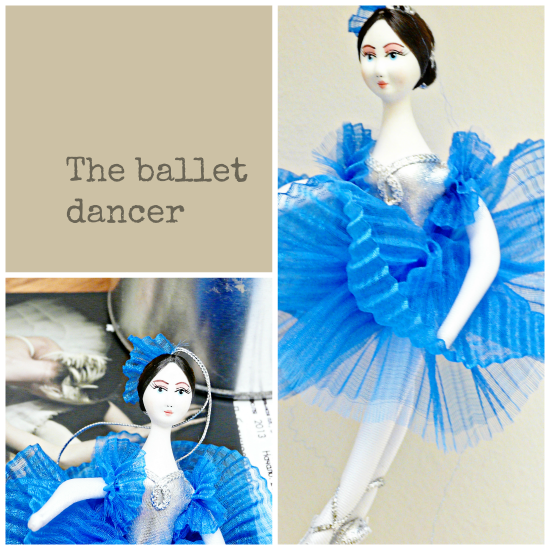 Of course new things can be just as precious and meaningful as old things - and there are definitely a lot of memories attached to that beautiful ballerina! Oh she is SO pretty! Carrie and I each bought Christmas ornaments in England this year when we traveled there. I look forward to having it on my tree in years to come and remembering the wonderful trip we shared. It sounds like a wonderful experience and she really is a treasure. I'm not sure I'd be able to admire her only at Christmas though! its lovely to have a keepsake and such a beautiful one too...a lovely story Sian.